This integration will allow you to connect with Base CRM and start collecting your data. It is a matter of minutes to send your shipments data to feed your BI, your data warehouse, or your custom analytics stack. 1. To add this integration, go to Blendo dashboard. Click Add a Source and click on Base CRM. 2. 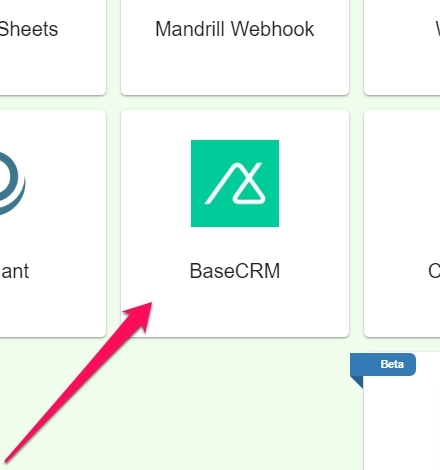 Click on Base CRM icon. 3. In the new Setup your Base CRM source screen there is some data required that you will need to get from Base CRM. More specifically you will need the: Access Token of your Base CRM account. 3.1. 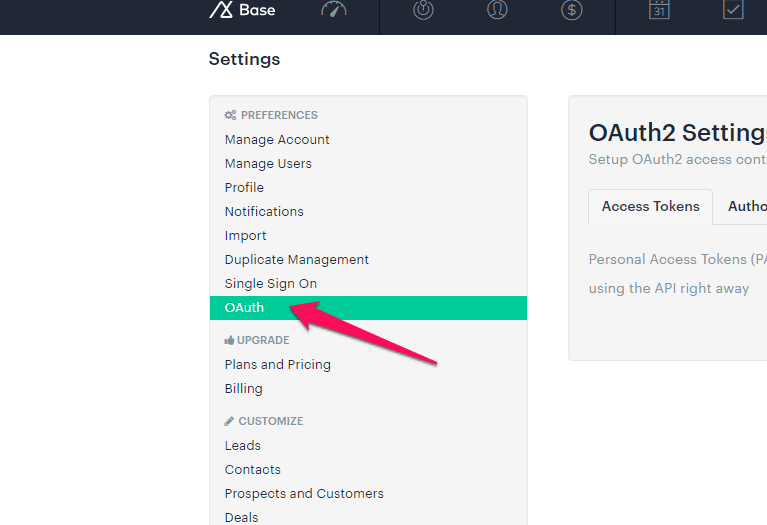 Login to your Base CRM dashboard from a new tab. 3.3. In the next screen, click on OAuth. 3.4 In the screen on your right, under OAuth2 Settings, click on Add Access Token. 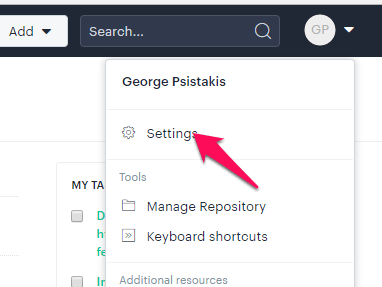 3.5 In the new screen, add a Description and check only the first option – Read access to all your data, except for the account and user info. Please uncheck the rest. 3.7 In the next box you will get your Access token but make sure to copy your new personal access token now. You won’t be able to see it again! 5. Then you will return back to the home dashboard. Click on your new Base CRM data source. This configuration controls how often Blendo will pull data from your Base CRM integration. Loading to your data warehouse could take a little bit longer. Check our documentation on the Base CRM Data Model you expect to get in your data warehouse.